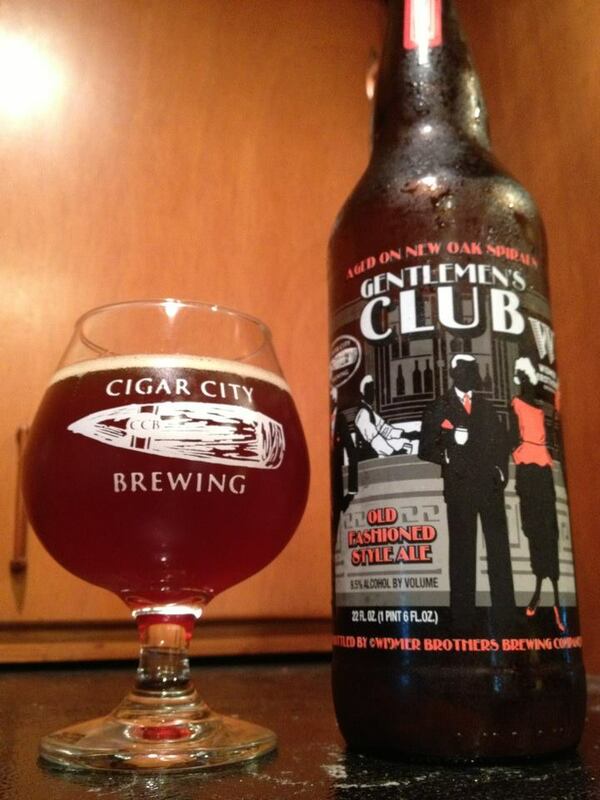 Gentlemen’s Club is an Old Ale that is a collaboration between Widmer Brothers & Cigar City Brewing. 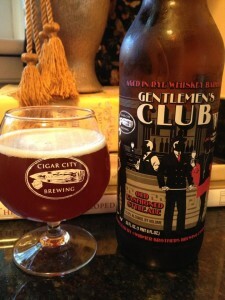 The idea was to create a beer that emulates an old Old Fashioned cocktail recipe. The beer is 10% ale. And 90% ale brewed with cherries, lemons, oranges, Alchemy/Sorachi Ace/Pacifica hops, aged in one of three barrels (New Oak, Bourbon and Rye Whiskey). Each of the three variations end up being somewhat different beers. New Oak Spirals – This was the first of the three I tried and ended up being my favorite as well. 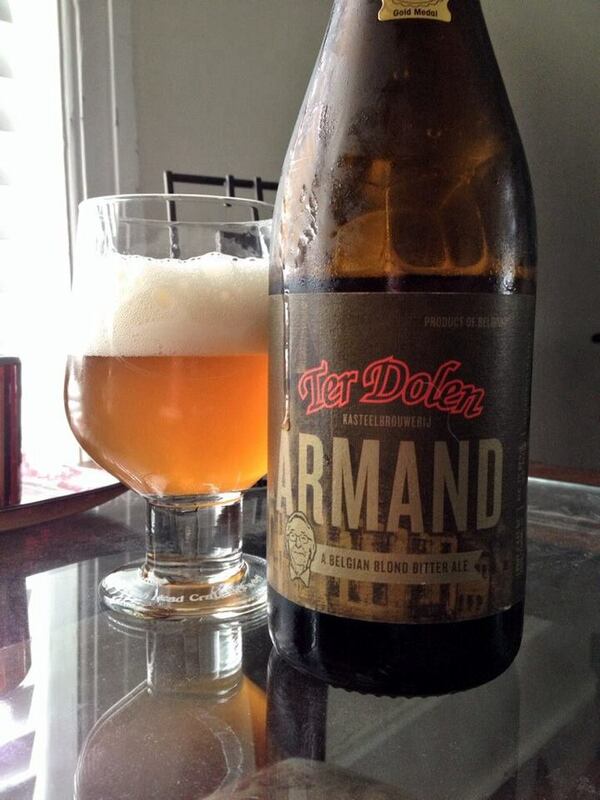 For as much as this beer has going on in it, it ends up being fairly simple. Sweet and malty as it should be with enough bite to give the impression of balance. The virgin oak adds some nice vanilla and a lot of wood and dryness. Bourbon Barrel – The citrus elements come out in abundance on this one for some reason. I am getting lots of lemon and orange citrus to start. There is also a good bit of caramel flavor underneath, as well as some generic bitterness which is a big drawback to the overall beer. 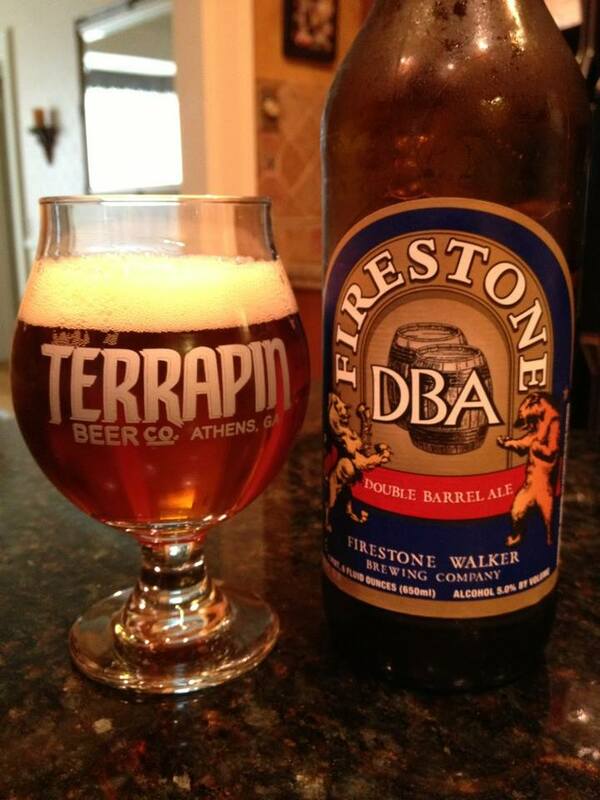 A lot of alcohol flavor comes out as it warms up, which is not a good thing for me on a slow sipper like this. 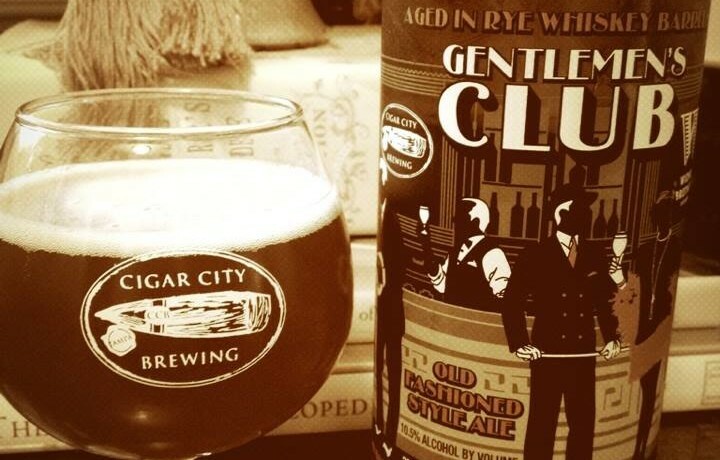 Rye Whiskey – This is the hottest tasting one out of the bunch. 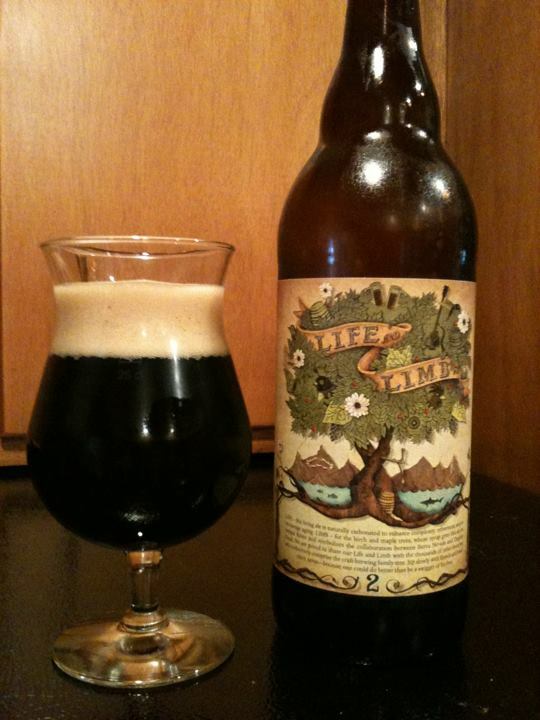 Overall this is a lot like the New Oak version flavor wise, sweet and malty with a bit of bite. Instead of the nice vanilla notes though there is a spciy booziness. Three pretty good beers overall, but at $20 a bottle I would expect something more than “pretty good”. But hats off to both breweries for such a creative idea, unfortunately for me it wasn’t worth the $60 in the end!